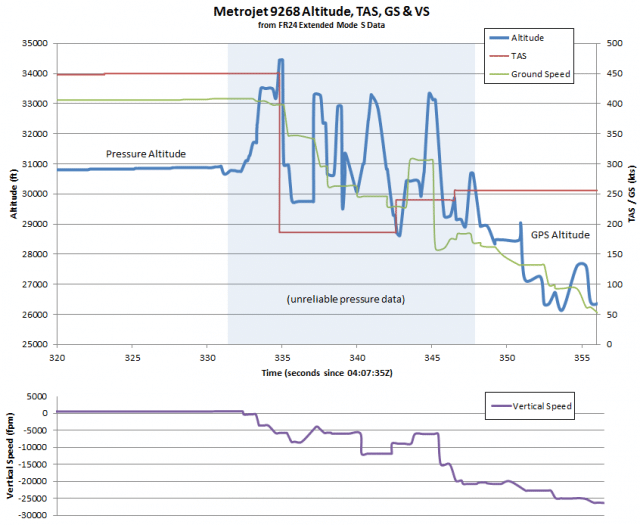 Obviously right now the issue on everyone’s mind is the Metrojet A321 lost in Egypt. News is coming in faster than I can filter it and I strongly suspect that by the time I post this, the information will be out of date. Certainly, I’ve had to throw away one draft today already! Kogalymavia (Metrojet) Flight 9268 was en route from Sharm el-Sheikh International Airport, Egypt to Pulkovo Airport, Saint Petersburg, Russia. The aircraft was an Airbus A321-231 with 217 passengers and seven crew members on board. This was a holiday flight and most of the passengers were Russian tourists. The flight departed Sharm el-Sheikh airport at 03:49 UTC (05:49 local time). The take-off and initial climb appeared to be uneventful. Twenty-three minutes into the flight the aircraft failed to make contact with Cyprus Air Traffic Control. The aircraft wreckage was found in the northern desert of the Sinai peninsula, Egyptian territory which is a land bridge between Asia and Africa bordered by the Mediterranean to the north and the Red Sea to the south. There were no survivors. Flightradar24 data shows the aircraft climbing to 33,500 feet and then suddenly descending at a great rate before disappearing from radar screens. The flight crew were very experienced. There’s no reason to believe that they were fatigued or that the descent was initiated by the flight crew. In fact, it looks very likely that the flight crew never had any chance to react to the catastrophe, whatever it was. The aircraft suffered a tailstrike in 2001. The aircraft appears to have been in good condition and maintained correctly. Readers of Why Planes Crash Case Files: 2002 will recall that bad maintenance after a tail strike caused the in-flight break-up of China Airlines flight 611. However there’s no evidence at this stage that there were any maintenance issues with the accident aircraft. This was almost certainly caused by an explosion in the aircraft at altitude. This mid-air explosion could have been an explosive device (bomb) stowed on the aircraft or a technical failure on the aircraft. The US Pentagon confirmed that a US satellite saw multiple heat events, one directly before the aircraft descended and three others at lower altitudes, where the last was most likely when the aircraft impacted with the ground. Based on the photographs released, the aircraft broke up as the result of an explosion of some kind inside the rear half of the aircraft but this has not yet been confirmed by investigators. The violent event was not a missile. Investigators have confirmed that no distress call was made, contradicting early reports that the flight crew reported engine trouble. This would imply that whatever happened happened very quickly. Russian medics stated that one-fifth of the bodies suffered severe burns and that “numerous bodies were severely fragmented” (sorry) which reaffirms that an explosive event took place. I’m told that it is clear from the photographs of the wings that the fuel tanks did not explode until hitting the ground. Certainly, they appear to be relatively intact, which is not consistent with the fuel tanks exploding in flight. The area behind the wings and the tail, on the other hand, are wide-spread on the wreckage site and largely disintegrated, which is why the assumption is that the event happened in this area. Investigators have already confirmed that they do not believe that the aircraft was shot down by a missile based on their preliminary investigations. It has not been confirmed at this time whether or not a bomb exploded on the aircraft. So far, investigators have confirmed that they believed that it was an explosion but not what type of explosion; that is, whether it was caused by a bomb stowed on the aircraft or it was caused by a technical fault. I would think that it is relatively easy to discover if traces of explosives are on the wreckage, so I expect that a definitive answer will be available shortly. The investigation is led by the Egyptian authorities, as that is where the crash occurred. Also involved in the investigation are the Russians, based on the registration of the aircraft, and the French, based on the make of the aircraft. Unfortunately, right now there are many, many announcements being made, some of which contradict each other. One can imagine the politics involved. For the Egyptians, it would be best if the cause were a fault in the aircraft, rather than an act of terrorism which breached security at their airport. For the French, an act of aggression is not just the simplest explanation but would do much to justify the war on terror whereas a fault with the aircraft would be a great negative for the Airbus. The Russians, on the other hand, would not be unhappy to discover that the cause was an obscure technical issue with the aircraft and thus no blame can be assigned to their crew or maintenance. Obviously everyone involved in the investigation is committed to discovering the truth, but in the rush to explain the event, the officials from each country may be a bit too quick to release information which supports their preferred outcome. On Wednesday, Britain, Ireland, Germany and the Netherlands suspended flights to and from Sharm el-Sheikh in order to review the security, with British officials specifically stating that they believed that the bomb may have been placed in the cargo hold while the aircraft was at the airport. They cited “critical intelligence” which according to the BBC was based on intercepted communications between militants in the Sinai. An Egyptian investigator responded to say that although they believed that there was an explosion on board, it was not clear whether it was linked to fuel or engine trouble or a bomb. The Russian foreign ministry responded as well, calling it shocking if Britain had evidence that they were not sharing with the rest of the world. At the time, Russian officials stated that they did not have evidence at that time that it was necessarily a bomb. However, today Russia also suspended all flights to Egypt for security reasons, a turn-about that may well mean that there is evidence pointing in that direction. Meanwhile, French media are claiming that the black box data confirms that it was a bomb because the sound of an explosion could be heard shortly before the aircraft broke apart. 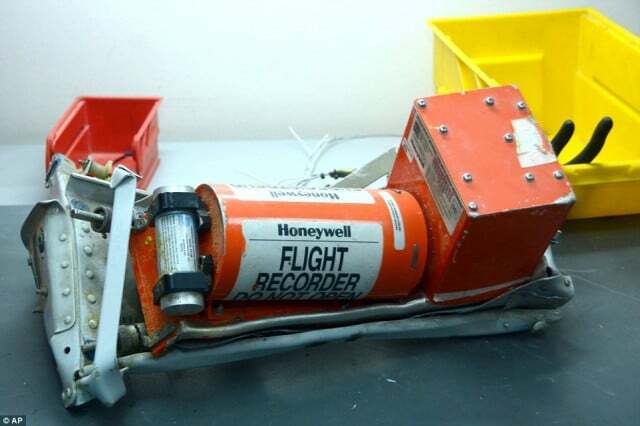 However, the investigation team previously had stated that although the Flight Data Recorder had been extracted and validated, the Cockpit Voice Recorder was damaged and would take some time to find out if there was any data to be extracted. A separate French source states that the black box data simply stopped abruptly, evidence of a brutal and sudden event. That source did not refer to any sounds. No official information regarding the Cockpit Voice Recorder has been made by the Egyptian investigation team. I’ve written before about an in-flight break-up caused by a fuel tank explosion that presented very much like a bomb, TWA Flight 800 in 1996. However, I think the multiple heat flashes seen by the US satellite are more consistent with a bomb than a fuel tank explosion in the climb. As of right now, the main new information coming through is about inbound British aircraft being turned away by Sharm el-Sheikh International Airport after reports that passengers must leave their luggage at the airport and travel with hand luggage only. As the Russians have now also suspended normal service but will be flying in to pick up stranded tourists, it must be absolute chaos there. So, those are the facts as known at this time (Friday evening GMT). With the media reporting each others stories fast and furiously, I would definitely take anything with a grain of salt that is attributed to “sources close to the investigation” or “aviation officials”. Barometric pressure devices were developed in the 1970s by a Palestinian terrorist organisation, which caused the device to activate at a specific altitude. The detonation of a small amount of plastic explosive was enough to bring down a commercial airliner. It would be relatively easy to conceal a device like this by a worker and place it in the waste bin of the rear toilet or a catering trolley in the rear galley. Given Europe is the only region in the world to routinely screen all airport workers as they go airside, this is, sadly, a highly plausible explanation. It’s also emerging that there may have been massive holes in the airport security at Sharm el-Sheikh. Passengers have reported that they were able to bribe the security officials as little as £10 to bypass security completely, including hold luggage! If this turns out to be true, then it could have serious ramifications for airport security across the world, and particularly in developing countries for many years to come! I can’t say I’m surprised. This is going to cost the Egyptian tourist industry dear. Andrew and Anna, your observations are absolutely plausible if not correct. My first reaction was that it had been a SAM. The official assertion that ISIS does not possess these weapons, with enough range and accuracy ,to shoot an an airliner out of the sky sounds absolutely hollow. And even with increasingly strong evidence or at least indications that airport workers had colluded with ISIS to actually place a bomb in the aircraft, the Egyptian and Russian officials still are in denial. And, sadly, yes this will virtually DESTROY the tourist industry in the region. Years ago my wife and I were on holiday in Luxor. We took a boat cruise on the Nile. Large floating hotels. But already then, many were laid up idle, and a soldier was permanently posted at the stern with a large, tripod-mounted machine gun. The ISIS …………. (my opinion about these cretins cannot be published) may well be planning to target the priceless monuments in the Nile Valley. This is a monster that must be destroyed before it will be too late. Unfortunately, Putin is exploiting the situation for his own political end. Not only does he play right in the hands of ISIS, he is also prolonging the agony of the Syrian people. And now these policies also seem to have contributed to the death of,217 of his own people.